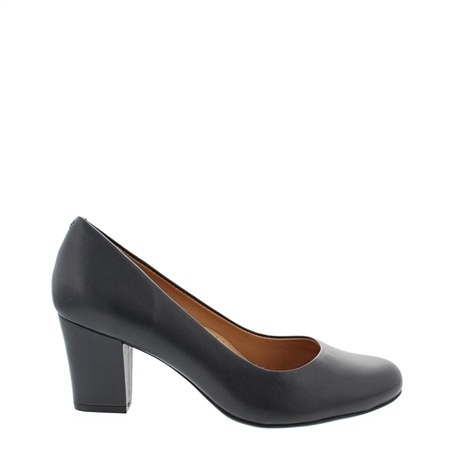 Our Yvonne court shoe is the style youll find yourself rNONEing for season after season. This timeless design features beautiful leather uppers, a calf leather lining and a mid-height heel to give just the perfect amount of elegance without sacrificing comfort. Arch support, underfoot cushioning and a flexible rubber sole ensures youll stay comfortable even after a long day on your feet. Also available in Black & Beige.